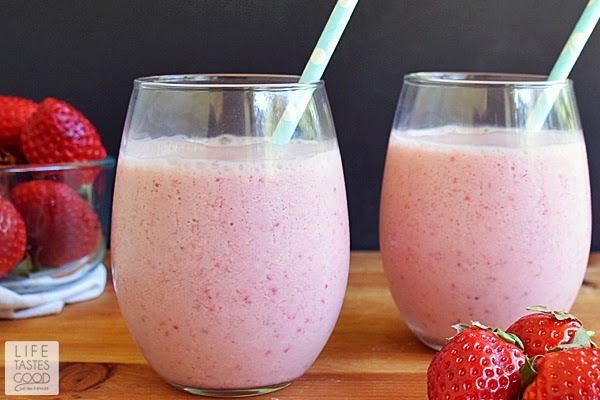 This Strawberry Vanilla Smoothie is a refreshing drink that gets kicked up a notch with the addition of Pure Tahitian Vanilla. The vanilla adds just the right touch and compliments the strawberries perfectly! I used Nielsen-Massey Tahitian Vanilla in this recipe because it pairs so nicely with fruit. 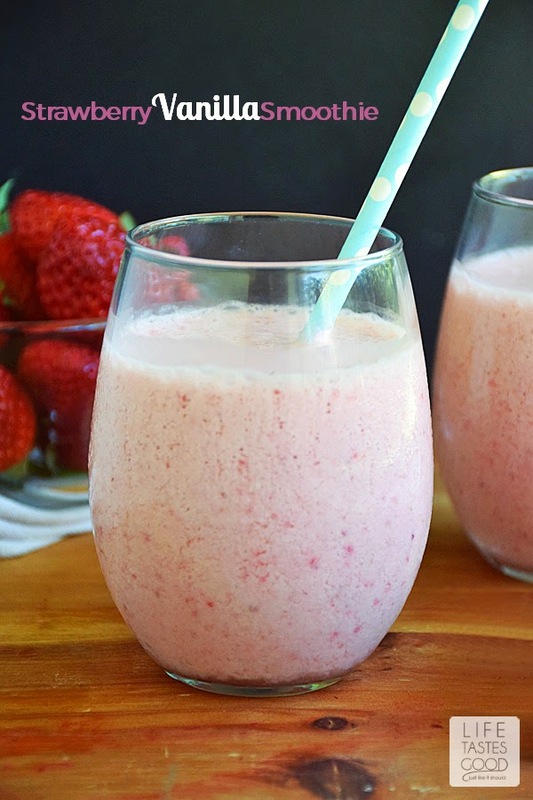 Tahitian vanilla doesn't hold up well to heat, so it is best used in cold recipes such as this Strawberry Vanilla Smoothie. It is a unique vanilla known for its delicate, cherry-like flavor. I recommend giving it a try, but any pure vanilla extract will add a nice touch to this smoothie. Don and I love to enjoy this smoothie for a sweet treat after dinner, but it's also a great way to start the day. There's nothing better than fresh fruit blended into a smooth and creamy drink to start the day off right! It is quick and easy to make and ooooh so good! Can you believe we are already in the middle of #VanillaWeek?! There are so many talented bloggers sharing many wonderful recipes, and we are giving away some pretty great stuff too! Here is a link to my White Chocolate Dipped Snickerdoodles in case you missed them! 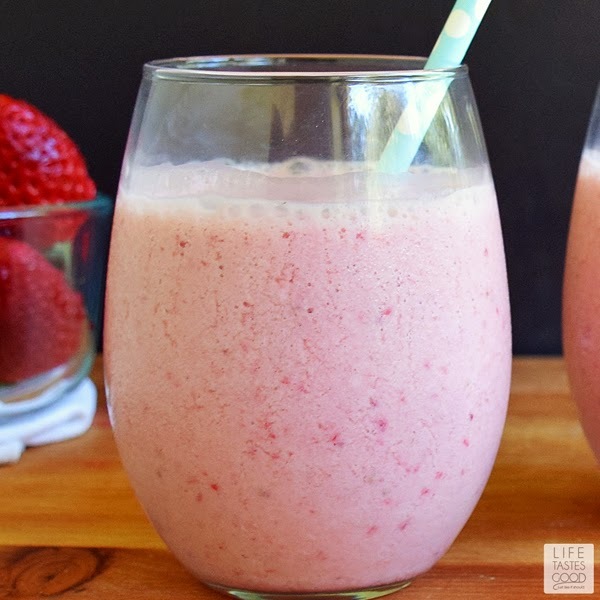 This Strawberry Vanilla Smoothie is a refreshing drink that gets kicked up a notch with the addition of Pure Tahitian Vanilla. Combine 8-10 fresh strawberries, 1/2 cup milk, 1/2 cup yogurt, 3 tablespoons sugar, and 1/2 tablespoons pure Tahitian Vanilla in a blender and puree until well mixed. Add in 1 cup of crushed ice and blend until smooth and creamy. Pour into serving glasses and enjoy! TIP: For an even creamier texture use 1/2 cup Mascarpone cheese in place of the yogurt. It is a delicious substitution that makes this smoothie taste like ice cream! Now this is MY kind of smoothie! 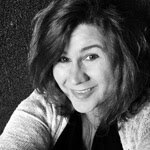 So fabulous with the Tahitian vanilla! It doesn't get more easy or delicious than this! Pinned, shared, and now I'm heading to the kitchen to make one! These smoothies look so good and refreshing!!! I haven't used my Pure Tahitian Vanilla yet. . can't wait to try it!!! love these! Love a good smoothie, especially the strawberry and vanilla combo. The Tahitian Vanilla works perfectly and so glad you like it. I am loving strawberry season and we make smoothies at least 2-3 times a week, I definitely need to add vanilla to ours now. This sounds fabulous! I love strawberry smoothies and I'm obsessed with vanilla! YUM!